Food, glorious food! Hot porridge and scroggin! 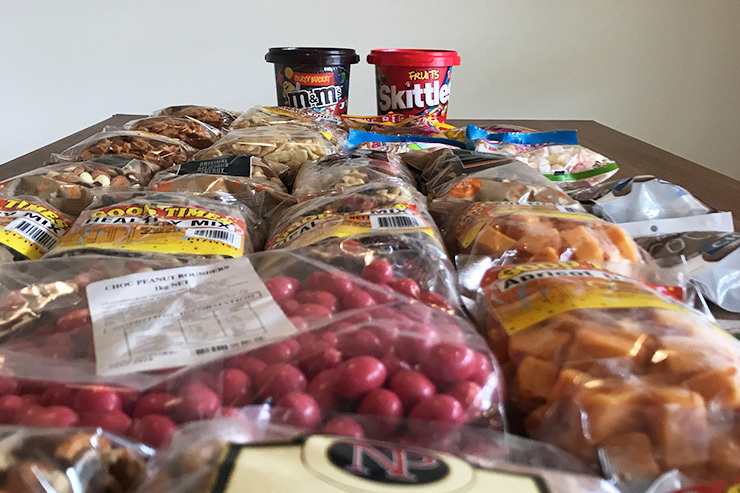 Once I had outlined my trail itinerary and organised my resupply plan, my next step was to decide what I’d eat for the next 2 months. Each dish needed to be nutritious, long-lasting and, most importantly, simple – the last thing I wanted, following a daily 20-kilometre hike, was to assemble something that resembled a croquembouche. A majority of my meals were pre-prepared and packaged into supply boxes, then delivered up and down the route of the Heysen Trail. I raided Adelaide’s wholesalers (Gaganis Bros and Omega Foods) and bulk discount supermarkets (Rite Price) for my provisions and, by the end of that lengthy shop, my car boot overflowed with ingredients, ready to be divided into zip-lock bags. My scroggin ingredients awaiting assembly. Despite my thorough preparation, I deliberately left holes in my food plan. You can’t predict what you’ll crave on a journey of this magnitude, and there are plenty of towns within reasonable walking distance from the trail that stock all kinds of deliciousness. 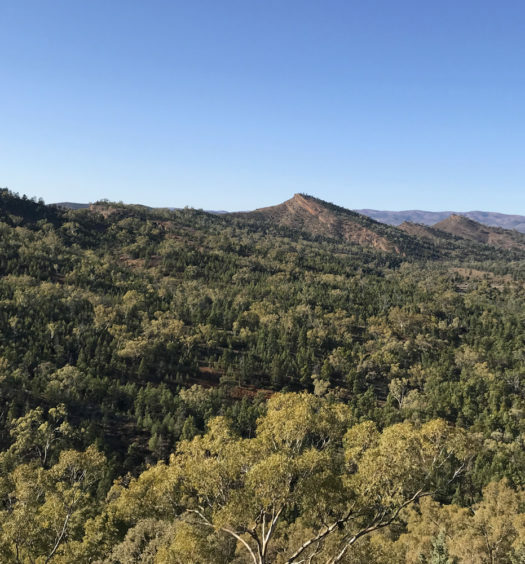 If you’re planning to hike for any more than a handful of days along the Heysen Trail, make some time to consider your food. Include plans for breakfast, lunch, dinner and, of course, your all-important snacks. Let’s be honest, scroggin is the main reason people hike. Who doesn’t want an excuse to snack on tasty treats all day? I assembled 45 x scrumptious scroggin bags, which maintained my energy and enthusiasm levels throughout the trail. The unrestrained excitement of finally tucking into a Starburst snake that you’ve dutifully saved for your afternoon sugar rush is oddly gratifying. But, believe it or not, scroggin is more than just chocolate and lollies. Your mix should include a balance of proteins, unsaturated fats, fibre, antioxidants and other essential vitamins and minerals. I can barely locate my elbow first thing in my morning, let alone construct an intricate meal. I had to simplify preparations for the most important meal of the day, otherwise, risk leaving camp too late or skip eating breakfast completely. I combined 45 x serves of oats, powdered milk, dried fruit, sunflower seeds and cinnamon into bags before beginning the trail. 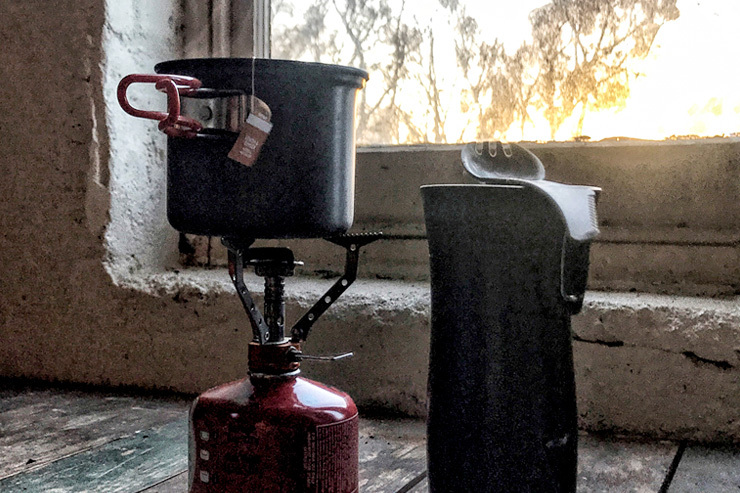 Each morning, I tipped the porridge mixture, along with boiling water, into my stainless steel travel mug and left it to cook for twenty minutes while I found my bearings. Simple! Even ‘early morning Josh’ couldn’t stuff it up (too badly). Tea and porridge. Name a more iconic hiking breakfast duo, I’ll wait. ‘Lunch’ is a relatively loose term in hiking. Some days I ate my ‘midday meal’ with my breakfast, other days I would wait until late afternoon, sometimes I didn’t eat it at all. Walking long distances does mysterious things to your body. 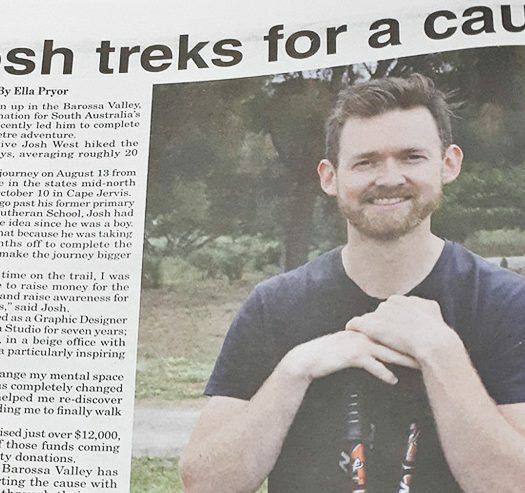 For example, it took me until Day 6 on the Heysen Trail to realise I was hungry. Weird, right? I kept my lunches absurdly straightforward. Most days I snacked on crackers with either tuna or mettwurst. This simplicity saved me from having to unpack and repack several lunchtime elements and halt the days’ momentum. My supply boxes contained 35 x cans/packets of tuna, 9 x sticks of mettwurst (one for each box) and roughly 1 x packet of rice crackers for every 3 walking days. My original plan to create an elaborate home-dehydrated dinner menu didn’t last long. I quickly ran out of time and enthusiasm after collecting, preparing, cooking and drying the ingredients for my red lentil dahl. This turned out to be a blessing as the pre-made meals I purchased (to replace my lackadaisical cooking effort) were delicious and incredibly convenient. My dehydrated dinners included 18 x homemade red lentil dahl meals served with rice, 15 x Strive online-purchased meals and 6 x Back Country store-bought meals. There were also a few additional items that consistently helped me out along the journey. Mum smuggled a packet of bone broth into my bag before I left. This soup was a lifesaver. I’d have a few serves every time I came down with a sniffle and, inevitably, feel better over the coming days. On top of this, the awesome girls at Wandercooks supplied me with a packet of desperately-needed curry flavouring for my rice. And finally, ANZAC biscuits and cups of piping hot tea typically bookended my days.